My Valentine’s day PUG wish list! As the buyer of Pinup Girl Clothing, my job isn’t easy. I mean, everything I buy for PUG, I initially want to buy for myself. So basically, every week when we launch new and exciting products, my money just flies out of my pocket. I usually justify my purchases by thinking, well, I deserve it. I work hard, can’t a girl play hard too? This isn’t always the best idea but hell it makes me happy! haha. Anyway, I’ve come up with yet another reason why I should make another purchase..VALENTINE’S DAY. Yup, V-day, which is usually just a day people either love or hate. However, I absolutely LOVE Valentines day. I could careless if I have a Valentine or not (I don’t have one this year, please inquire for an application). Every year, on Valentine’s day or around Valentine’s day, I spoil myself rotten. They say self-love is the best love right? Why not spend V-day loving yourself if you have no one else? Exactly. See, my justifications for spoiling myself totally make sense. I have already started my shopping spree, little by little, crossing items off of my PUG wish list. I already bought myself an Agent Provocateur lingerie set which has become an annual thing but now I want a bunch of Pug goodies! I am almost positive many of you will agree with me on some of these items which is why I decided to do this post. Have a Valentine? Make sure he knows you’ve got a little wish list ;). No Valentine? No problem! Treat yo-self! I need this Kissably cute sweater because reasons. Can you imagine how cute this will look with a red circle skirt? Yas honey! If you have a Love/Hate relationship with your lover or with V-day in general. Why not wear a skirt that expresses your thoughts effortlessly? Planning to spend V-day with your best girl friend causing ruckus around town like Thelma & Louise? If so, then you need the perfect scarf. Wrap it around your neck or on your head with some cat eye glasses and tell the boys to set their sights on you! Embrace your fierceness this V-day and be speckled like a leopard in these adorable heart flats. Love makes you feel warm and fuzzy inside, why not have a sweater that makes you feel warm and fuzzy on the outside too? Be an elegant damsel in distress in this Halter dress and watch the men line up to save you! Oh that voodoo that you do! 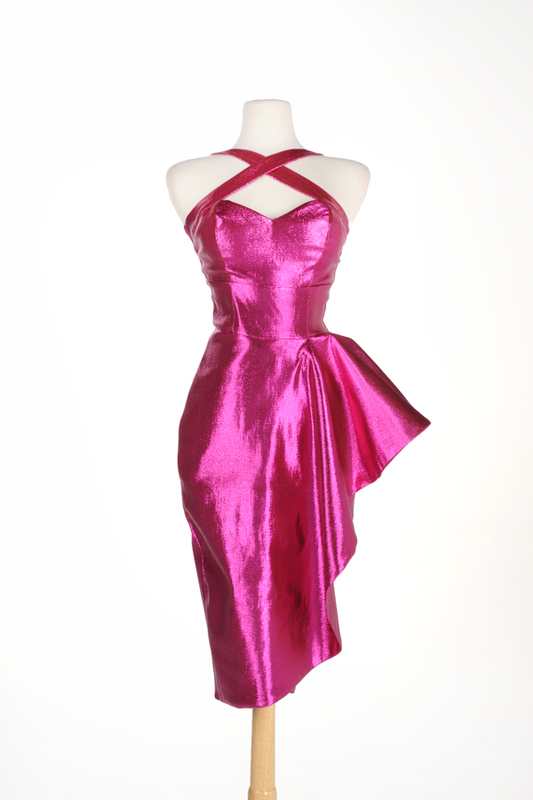 Put the boys under your spell in this hot pink Voodoo Vixen dress! 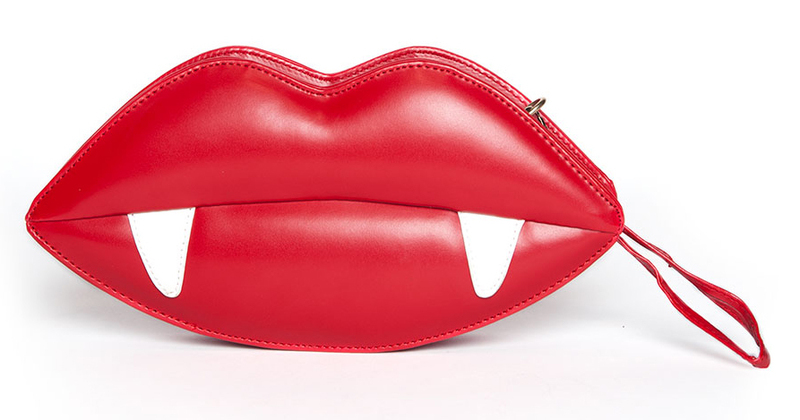 Are you a little vampiress? Like being more naughty than nice? If so, than you need this clutch! 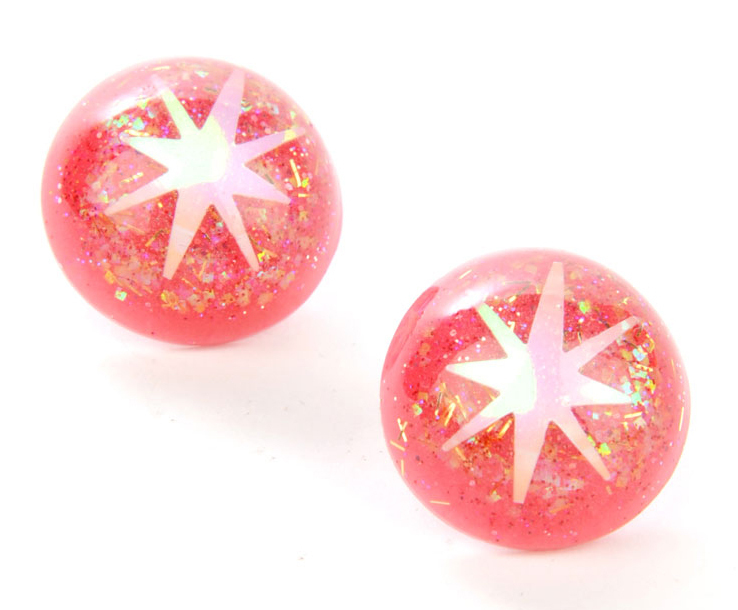 Sparkle on your special day with these Sparkle Lux earrings! If you donut care about Valentine’s day but you love sweets, why not treat yourself to this purse? 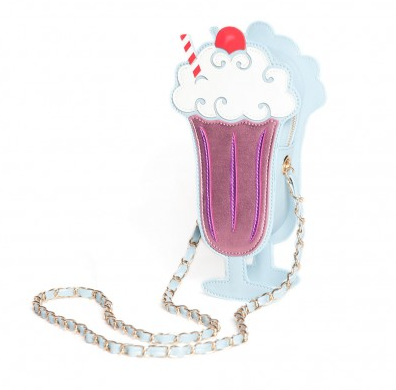 If your milkshake brings all the boys to the yard, you totally need this bag. Treat yourself to a ch-ch-ch-ch-cherry bomb with this adorable Luxulite brooch and earrings set! Exhausted from the dating life? Have a drink in this tough girl flask and be strong girl! Going on a hot date? Dazzle your man in this pretty in pink lurex Monica dress! Though V-day is more about love than it is about materialism. This does not mean you cannot spoil yourself anyway! Especially when you don’t have a Valentine. So I say, spend the day having fun no matter what and spoil yourself if you have to! Hope you all like my list! That monica dress is divine and I am LOVING the love/hate skirt!